David Staub is an experienced Illinois business attorney practicing primarily in the areas of corporate law, corporate finance, technology law, mergers and acquisitions, joint ventures, tax law and commercial finance. His primary role is serving as a trusted advisor to entrepreneurial and family-owned businesses of all sizes. 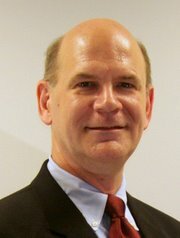 His experience and training in business law provide him with the background to counsel his clients on a wide variety of legal issues including private equity, venture capital and other financing; joint ventures and strategic business relationships; software development contracts, licensing agreements and other technology issues; sales agency and other distribution matters; and employment issues and executive compensation arrangements. His clients range from start-ups seeking guidance on formation of their business entity, to established companies looking for new sources of capital to fuel their growth, to mature family-owned companies planning for transfer of the business to the next generation. He provides advice on buying a business for those starting out or expanding their existing operations and counsels others on selling their business or pursuing other exit strategies. Mr. Staub has been named an Illinois Super Lawyer by the publishers of Law and Politics magazine and he is AV® Peer Review Rated, Martindale-Hubbell's highest peer recognition of attorneys for ethical standards and legal ability. Mr. Staub serves as a business lawyer to entrepreneurial and family-owned companies in such diverse activities as software development, broadcast media, transportation logistics, construction, retailing, distribution, manufacturing, banking, consulting and other professional service organizations. With most of his family-owned clients, Mr. Staub essentially serves the same role that an in-house counsel provides at much larger companies. His broad experience in key areas allows him to provide guidance on many issues, bringing in other attorneys from the firm only when their expertise in their own areas is called for. He takes pride in digging in and understanding the client's underlying business. That knowledge, together with his strong background in accounting and business, gives him a unique ability to bring added value to the attorney-client relationship. Mr. Staub has represented companies and investors in a variety of private equity transactions. He has prepared private placement memoranda for many different types of business and has handled the compliance with federal securities laws and state blue sky laws. He is also an experienced commercial attorney, representing banks and other financial institutions in a wide variety of matters, including lines of credit, asset-based loans, equipment leases and syndication of loans. As a mergers and acquisitions attorney, Mr. Staub has represented both buyers and sellers in a wide range of middle-market M&A transactions including tax-free mergers, spin-offs, cross-border sales of business assets, corporate restructurings, stock purchases and management-led buyouts (LBOs). His extensive due diligence experience helps prepare both buyer and seller of the business and reduces unwanted surprises that often upset deals at last the minute. He has represented buyers and sellers in transactions ranging from small local businesses to large industrial family-owned business, throughout the United States and Canada. Mr. Staub brings more than 25 years' experience to his technology law practice. He has represented clients ranging from start-ups to established companies in the areas of computer software and services, e-commerce and internet, telecommunications infrastructure, computer hardware and other high tech businesses. He also provides legal services and solutions to the firm's low tech and non-technology business clients, who face a broad range of technology issues in today's business environment. Mr. Staub has significant experience in securing and protecting a business' intellectual property, including trademarks, copyrights, know-how and trade secrets, through combinations of registrations, contractual restrictions and licensing agreements. Taxes play a major role in many business decisions. Mr. Staub's strong tax background gives him the knowledge and experience to spot issues that another business attorney might overlook, often bringing added value to the economics of the transaction. In addition, Mr. Staub advises many of the firm's clients on specific tax issues, renders tax opinions and drafts ruling requests from the IRS. Mr. Staub began his career as a tax attorney with the Chicago office international law firm Mayer, Brown & Platt (now Mayer Brown LLP). In 1983, he was a founding partner of Cowen, Crowley, Nord & Staub, P.C. He subsequently joined Shefsky & Froelich Ltd. as a tax and business attorney, serving as co-chair of that law firm's corporate practice group for ten years, and as a member of its board of directors and administrative committee. In 1996, he rejoined Cowen, Crowley, Nord & Staub, P.C. which merged to become Stahl Cowen in 2001. He left Stahl Cowen in 2008 to found Staub Anderson LLC. Staub Anderson is an Illinois business law firm focused on serving the needs of businesses and their owners in Chicago and the Midwest. Its attorneys advise closely-held companies, single-owner enterprises, publicly traded corporations, municipalities, townships, and individuals. Its principal practice areas are business law and counseling, mergers and acquisitions, corporate finance and securities, commercial finance, employment law, real estate law, tax, estate planning, litigation, and local government law. For more information on how David Staub and the lawyers at Staub Anderson can help your business, call David Staub at (312) 345-0545. Copyright © 2014 IllinoisBusinessAttorney.com. All rights reserved. AV® is a registered certification mark of Reed Elsevier Properties Inc., used in accordance with the Martindale-Hubbell certification procedures, standards and policies. David Staub will speak to your business group or association in the Chicago area without charge. Call for more information.